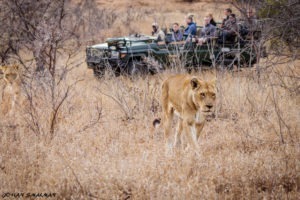 For the most part, the safari holiday is a “you get what you pay for” tourism industry. 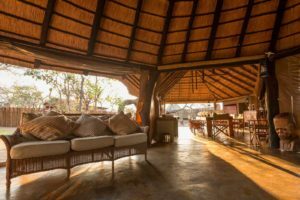 It you are willing to spend a lot of money, then you can be assured that the experience will most likely reach your expectations. 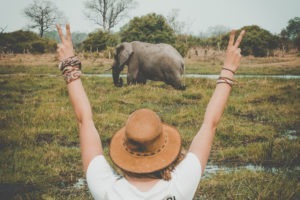 If you are however wanting to travel without spending too much, then it is often very difficult to select the right locations that are still within your budget and yet offer a great experience and value for money. 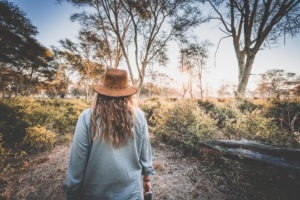 There are thousands of options out there! 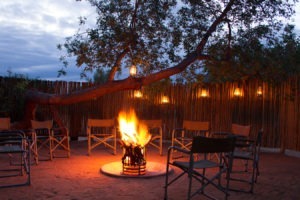 But only a few which we would recommend. 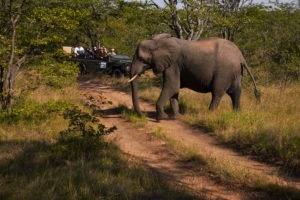 This safari lies within that very fine line of being competitively priced and still the “real deal”. 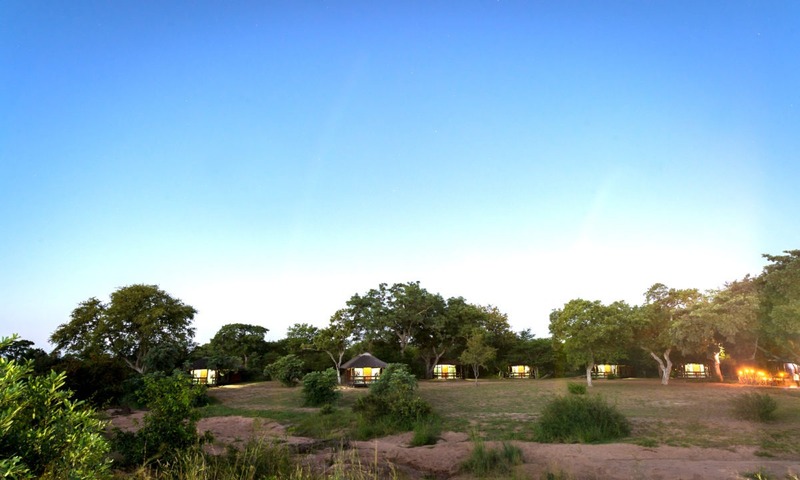 Two smaller authentic camps that lie within unfenced wilderness with free roaming wildlife yet great value for money. These hidden gems were hard to find but will be well worth it for those of you who don’t want to break the bank to experience a real safari experience in South Africa. 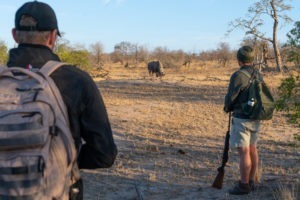 Starting off in the Klaserie Nature Reserve, an area with plenty of big 5 activity and relatively low commercial activity! 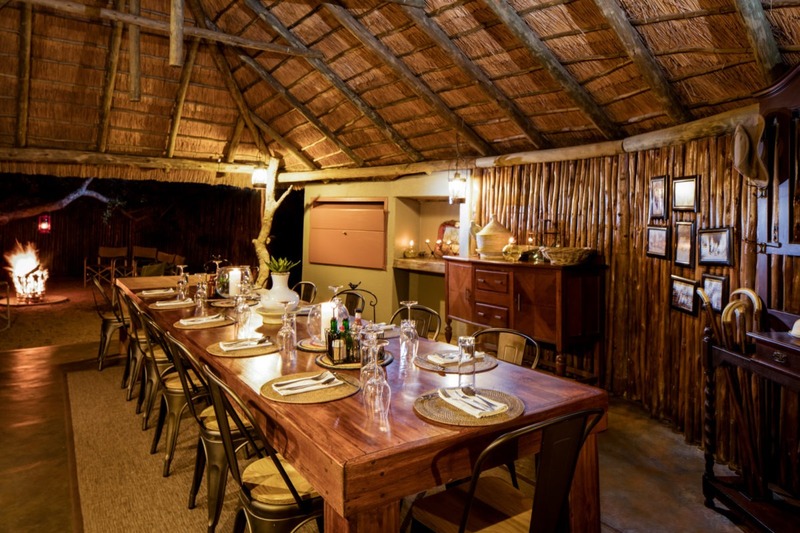 You will see yourself in an old classical Kruger style bush camp, a great introduction to the Lowveld and its traditional style camps. 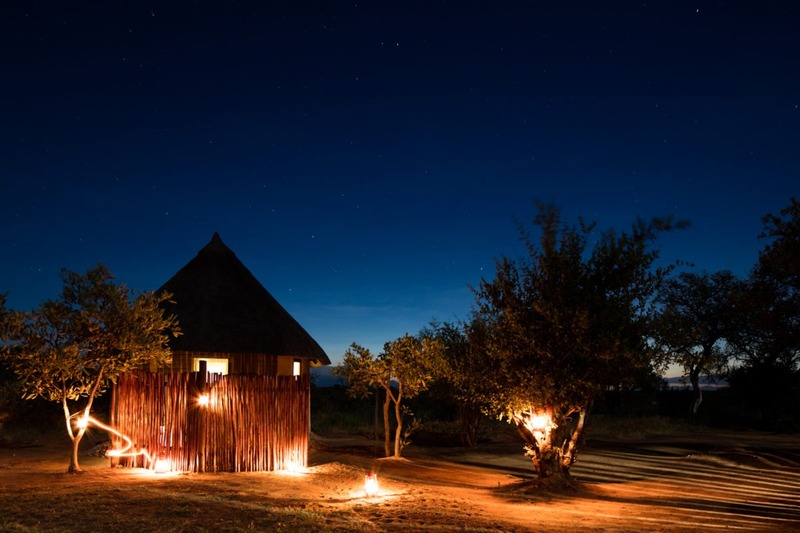 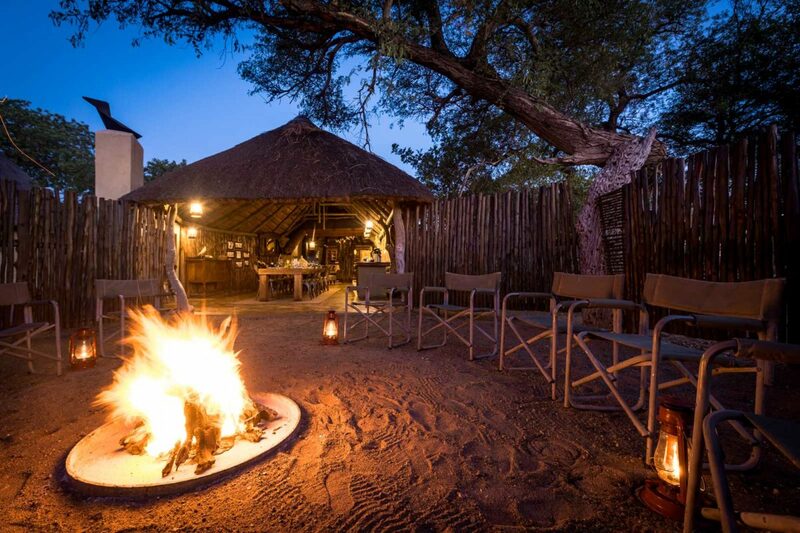 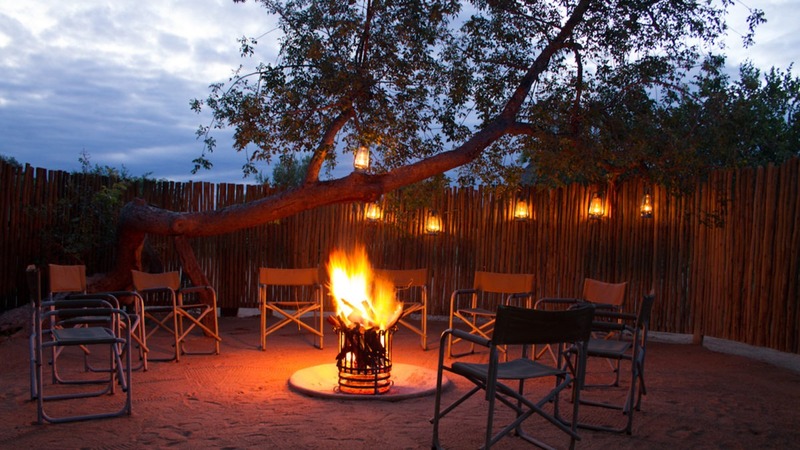 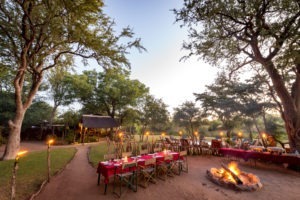 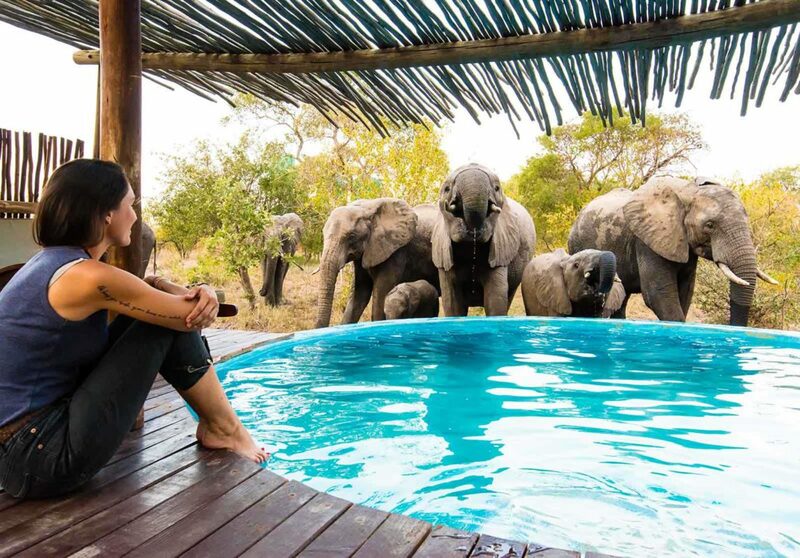 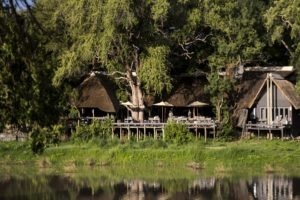 Then moving just slightly South into the Timbavati Private Nature Reserve, you change style of accommodation completely and, now find yourself in an authentic tented camp along a dry river bed. 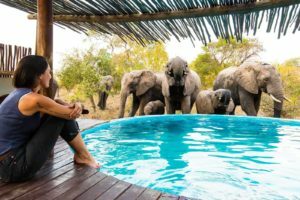 This 6-night affordable safari is well suited for anyone from single travellers to large groups who are seeking a great value for money safari. 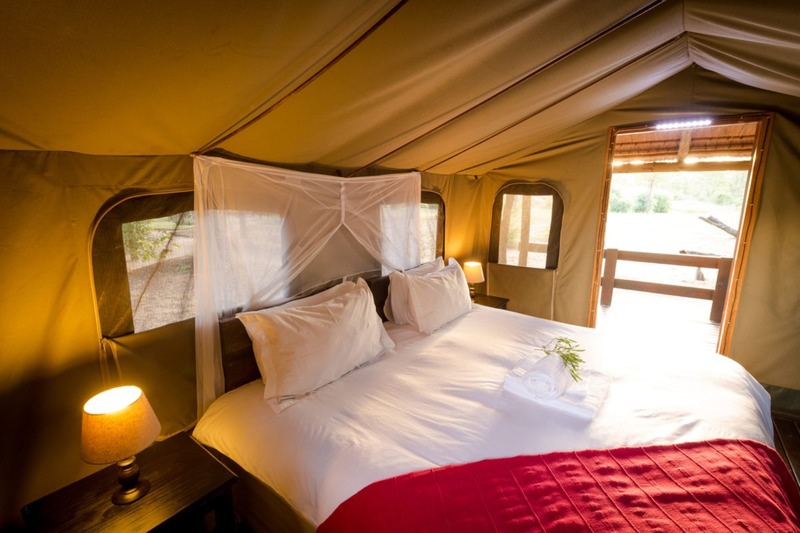 The accommodation is of a suitable standard and you will find all the amenities one needs to be comfortable in this pristine wilderness. 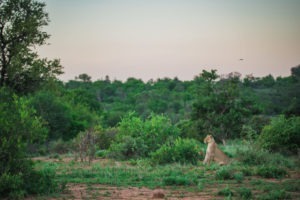 Both locations are private and in prime locations so one can expect to experience this area without the mass tourism that the rest of Kruger is known for. 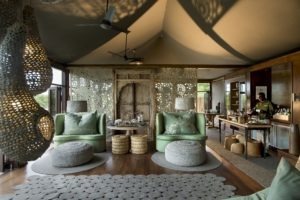 This is where the luxury lies! 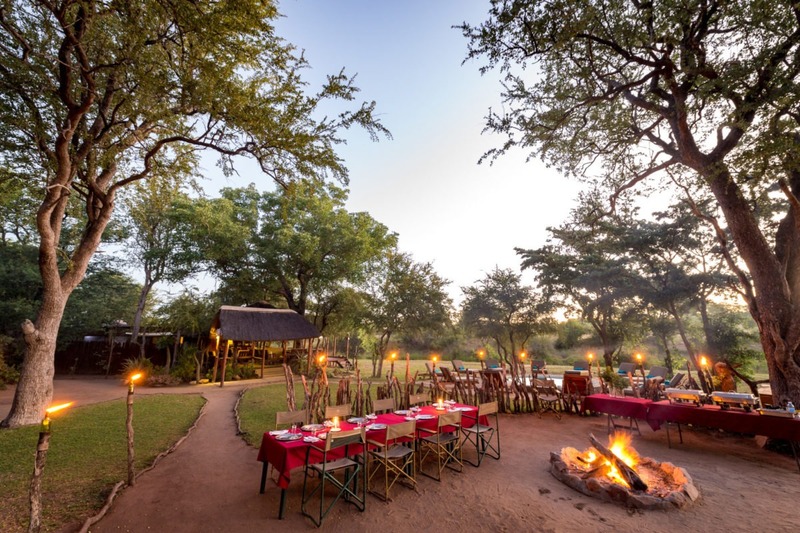 Located in the Klaserie Private Nature reserve, this is a classic old school unfenced Kruger style camp with the traditional “rondavel” rooms. 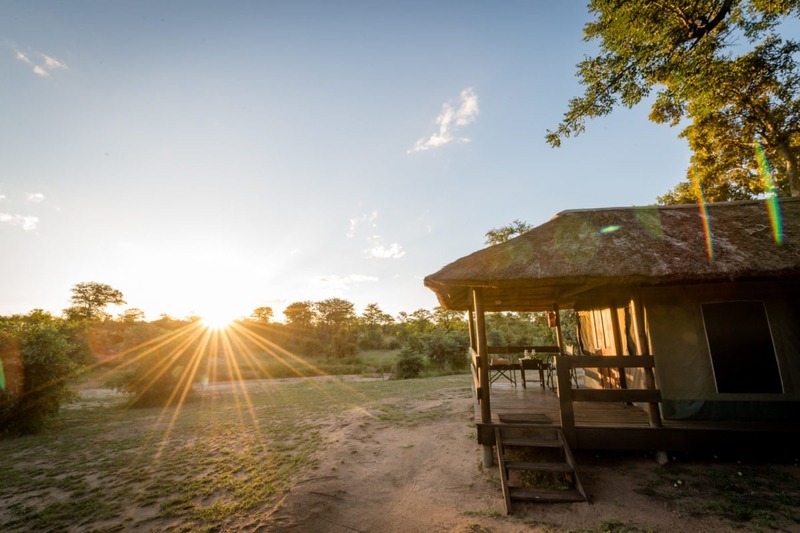 The camp is set in an open section of bushveld and consists of a central area, swimming pool, guest rooms and also a romantic sleep out deck which is a guest highlight! Being a small and intimate camp, the staff are welcoming make you feel as if you are at home and have joined their close-knit family. 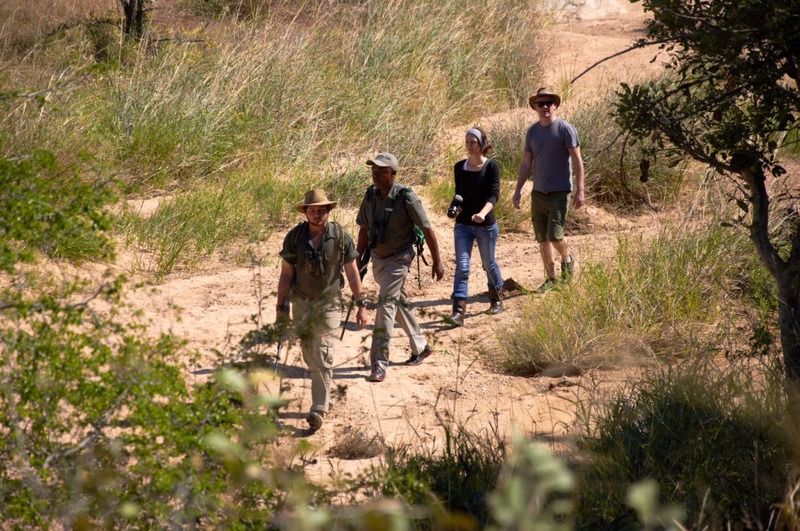 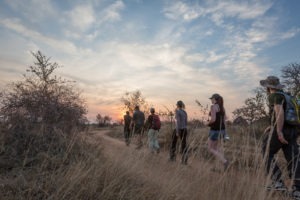 As the camps name suggests, they offer morning bush-walks where the knowledgeable guides introduce you to many of the smaller and more detailed aspects of the bush which one often misses whilst on game drives. That being said however, they also offer game drives and are located in a particularly productive area with frequent sightings of all members of the big 5. 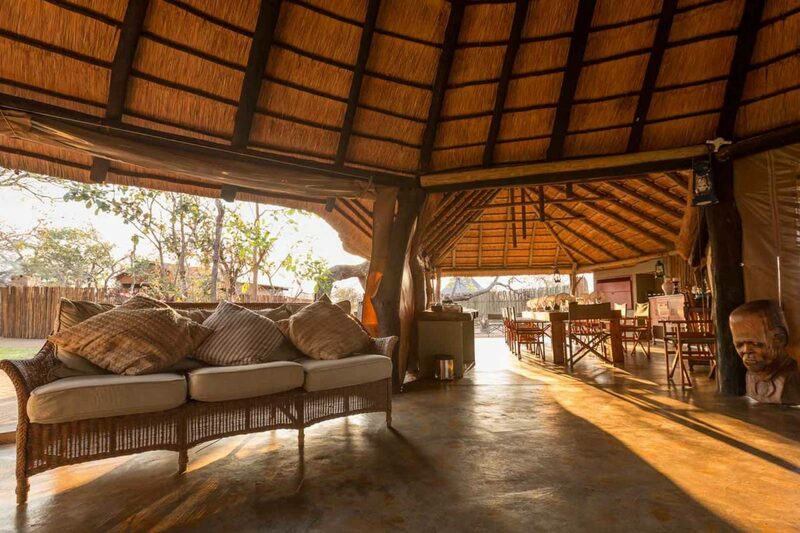 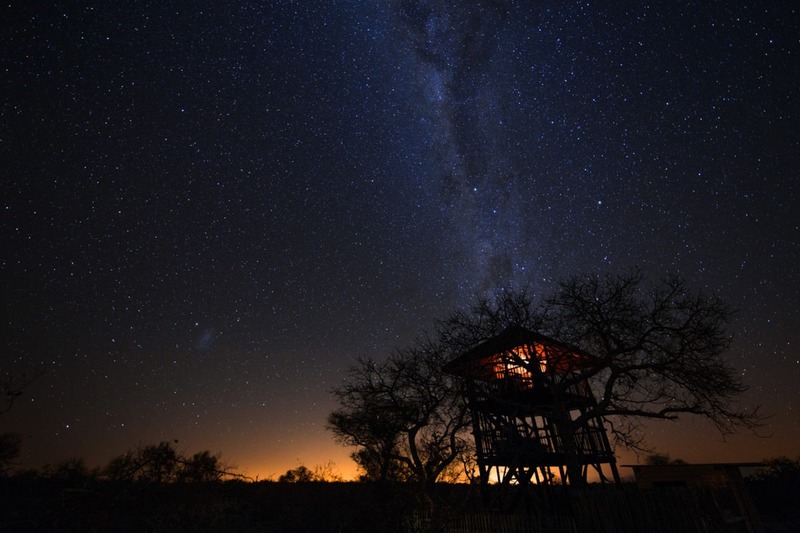 Located in the TImbavati Private Nature Reserve this is an authentic tented camp, set in an unfenced wilderness environment. 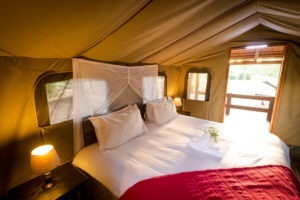 Accommodation is in comfortable canvas safari tents, set on wooden platforms, each with its own shower, toilet and basin. The main area of the camp features a kitchen, dining and lounge area, as well as a boma and small swimming pool. 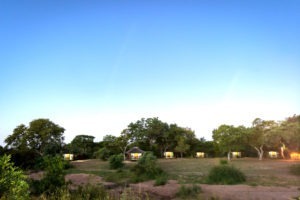 The camp is eco-friendly and runs on solar and gas. 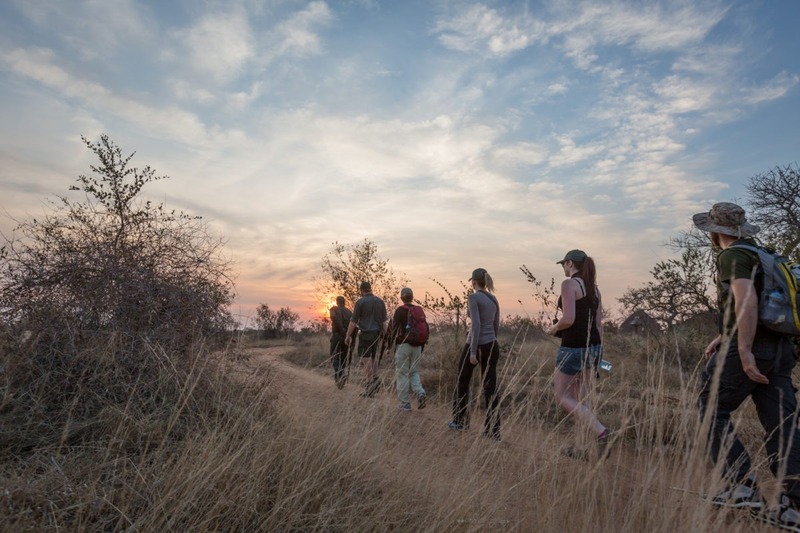 Shindzela offers both day and night game drive safaris as well as walking safaris for those seeking to experience the bush on foot. 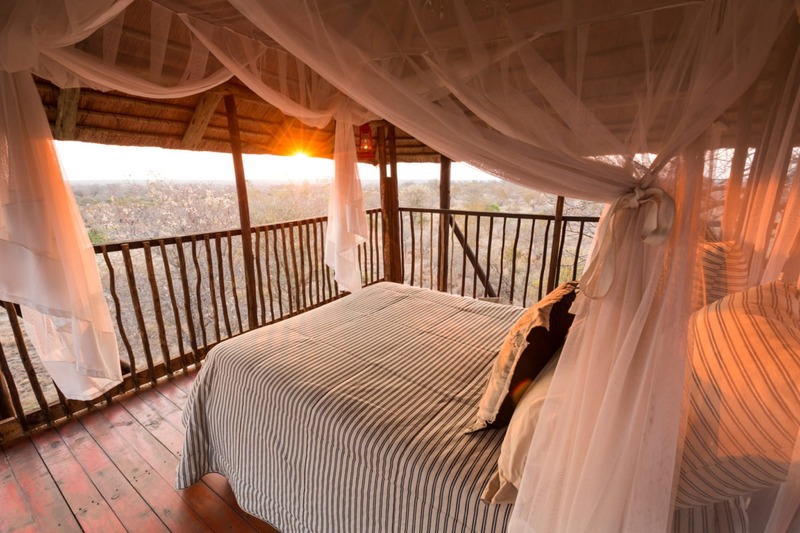 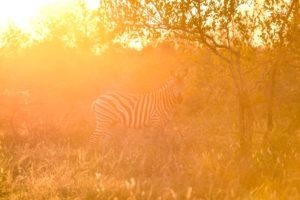 This in combination with the fact that the Timbavati shares unfenced borders with the Kruger National Park means that animals are wild and free to roam creating a real safari game viewing experience.